Hello there! Today I’m going to tell you about/review THE BEST gift idea I have ever heard of, the gift of song! 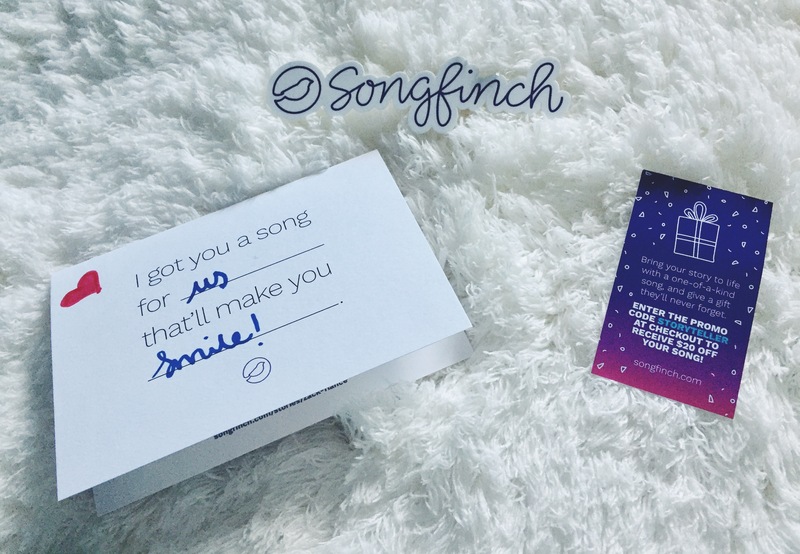 Recently, I received an email from a company called Songfinch, a company who LITERALLY give the gift of song. You simply fill out a little form about the person you’re creating the song for. 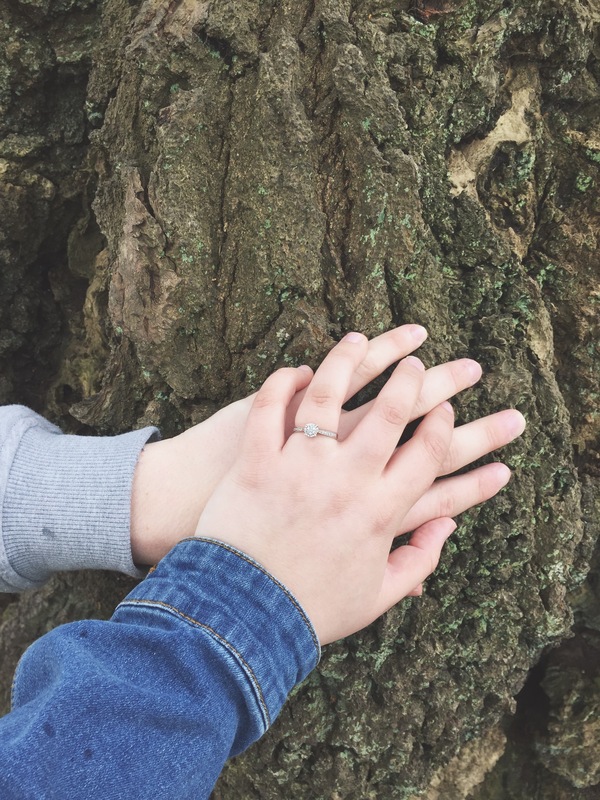 You can input details like their name, relationship to you, and stories and memories that you have together. The more detail, the better as this is the main basis of your song. You then get to choose things like voice of the singer, and the style of song that you wish to create. 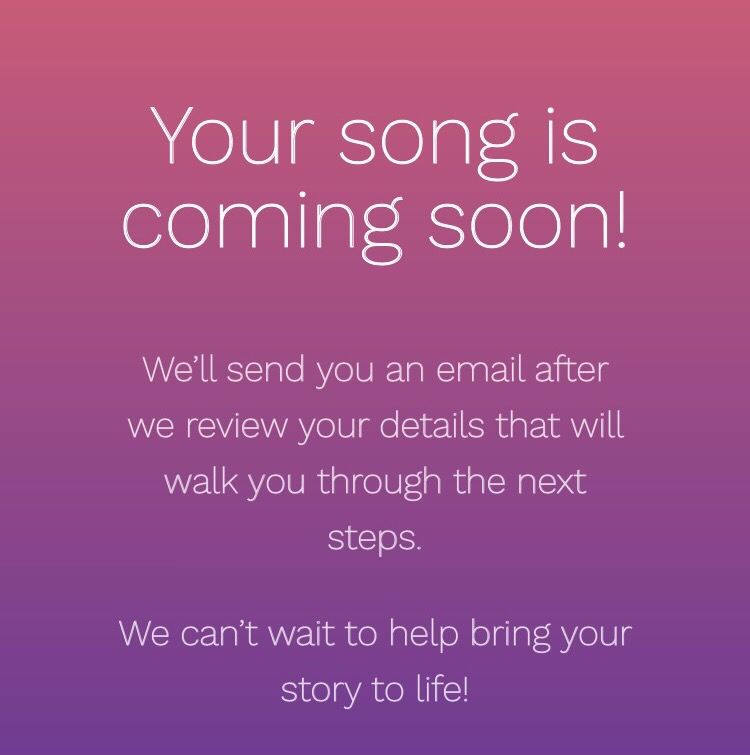 Your song is then created by a song writer and the rest of the team, and delivered to your email address in 7 days, super speedy! I created a song* for my fiancé using Songfinch and had a big reveal planned but, to be honest, I was way too excited when it reached my email inbox that I just had to play it to him straight away. Luckily, he absolutely loved the song. The words were so lovely and touching and he kept singing it for days afterwards (we both did actually, it’s really catchy!). I just love that this beautiful song is all about us and we get to cherish it forever, because music, to me, is something that lives on in the memory as a catchy tune can never be forgotten. Do you wanna hear my song? Click HERE. The song really exceeded my expectations! It flows beautifully and is really catchy, just like any song you’d hear on the radio! But this song isn’t just any song you’d hear on the radio, it’s our song and it means so much to us because it’s our story. I also love the detail that was included from the story I told the writers, such as listening to Ed Sheeran on the radio and the fact that he taught me to love. This really could be the best gift you’ve ever given, and the best part? You could give it to absolutely anyone for any occasion! Want to give the gift of song? Visit Songfinch here and use code FANSOFTSG at the checkout to receive a $20 discount! Thanks for reading, I hope this gives you the perfect gift idea! *This post was sponsored by Songfinch. For more information on sponsored posts, see my Disclaimer. This sounds like a great gift, eapixlaly to an abosulte song lover like my other half. Will have to check this company out! Oh wow this sounds really amazing, definitely going to check it out! Aw Hayley this is so cute! I really love how personalised this was, it’s the small touches like the details of your personal experiences in the lyrics that really make something like this special! I’m so glad that it was such a catchy song and that you kept singing it for days after! What a lovely gift! I’ve never heard of anything like this but it’s so unique and special! I’d love a gift of song, it sounds so wonderful. This is so cool!! I’ve never seen anything like it before. I can imagine it’d be a cute thing to do as a wedding gift! It was my partner & I’s three year anniversary this week, so I’ll have to check this out!